Why Climate Control? Here Are A Few Reasons! The entire Climate Control team works faithfully to ensure that every customer has an elite experience working with our company. From our staff in the office to our team out in the field, every employee is committed to making sure your needs are met. Our goal is to provide you with an elite customer service experience on every project, big or small. Every Climate Control technician must undergo and pass the strenuous NATE certification testing, which demonstrates their knowledge of the complex ins and outs of our industry and the equipment we work with on a daily basis. We are passionate about the benefits NATE certification offers to our customers, which is why this certification is a requirement for every member of our service team. Climate Control provides only the best HVAC equipment. We offer a wide variety of heating, cooling, and indoor air quality systems to meet our customers’ needs. Climate Control is proud to work with industry-leading brands including Trane, Mitsubishi, and Climate Master. 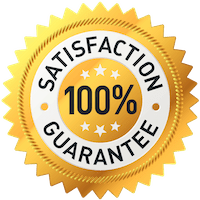 Climate Control offers a 100% Satisfaction Guarantee on every job we complete. Whether it’s installation of a new heating or cooling system, or service to your existing equipment, we strive to do our very best. If our team falls short of your expectations, we welcome the opportunity to make it right. Our work is not complete until you are 100% satisfied. Heating and cooling emergencies rarely happen when it’s convenient. In order to accommodate your immediate needs, Climate Control offers around the clock emergency service. We will get your home or business’s essential systems back up and running quickly, when our competition makes you wait until the next day or even longer. Don’t take a chance on an unreliable contractor when your family’s comfort is at stake. Climate Control always guarantees your satisfaction. Contact us today to learn more about the heating, cooling, geothermal, and indoor air quality services we offer. We are proud to say that our service technicians at Climate Control Heating & Air Conditioning have received the North American Technician Excellence (NATE) certification. This is one of the highest levels of certification a service technician can achieve within the heating and air conditioning industry. The NATE organization is the largest non-profit in the HVAC industry with a goal of certifying the “best of the best” in the industry across the country. Within one year of employment a service technician is required to take, and pass, the NATE certification exam at Climate Control. We want to ensure our customers are receiving help from the most skilled service technicians in the area to resolve any heating and air conditioning need. For many years Climate Control Heating & Air Conditioning has been a proud member of the Air Conditioning Contractors of America (ACCA) organization. This group of contractors take pride in building an industry based on integrity, honesty, and a high level of customer service. ACCA is designed to provide support to heating and air conditioning contractors across America in the form of training, education, and legislative support. We are a proud member of ACCA and look forward to continuing our involvement for years to come! 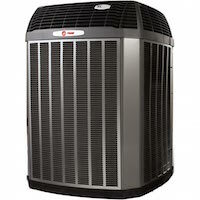 Climate Control Heating & Air Conditioning is one of the largest Trane Dealer in the Lexington area. Our team is committed to providing a best-in-class customers experience with industry leading products. Our company has met the highest level of standards for heating and cooling skills and service. Go ahead, test us out! Climate Control Heating & Air Conditioning is the longest active Carrier Dealer in the Lexington area. With our commitment to the industry leading brand of heating and cooling products, we have placed our team through very thorough product and technical factory training. At Climate Control, our passion is to offer our loyal customers unparalleled service and knowledge of the heating and air conditioning products we provide. With this logo comes an understanding that our company has met the highest level of standards for heating and cooling skills and service. Go ahead, test us out! Are you exploring your options with ductless mini-splits? If so, you have come to the right place. We have partnered with Mitsubishi to provide the industry leading ductless mini-split line to our customers. Like many of the heating and air conditioning product lines we carry, we have put our team through extensive training to ensure the best service and installation of the product in the Lexington area. The Climate Control Heating & Air Conditioning team has earned the distinction of Mitsubishi Ductless Diamond Contractor. This is a true honor as it means we have invested significant resources to professionally develop our team to provide the best ductless mini-split solutions in the industry. The service technicians are the most trained team in the area when it comes to installing and servicing the Mitsubishi ductless heating and air conditioning product line. There is a significant amount of knowledge that is required for a geothermal heating and cooling system to be properly installed and serviced. Our team has been trained to maximize the efficiency of a geothermal system to provide you with the most savings possible. Our partners at WaterFurnace have awarded us with the GeoPro Dealer distinction due to our extensive training and knowledge of geothermal solutions and their high quality product line. We have made a commitment to our customers to provide the highest quality installation and service available in the Lexington area. If you have any questions regarding geothermal heating and cooling solution feel free to reach out to our team at any time. The purpose of the the Kentucky Home Performance group is to help homeowners afford and better understand their home comfort options for energy saving products. The entire home is taken into consideration when creating a long term energy saving solution. Once our team from Climate Control Heating & Air Conditioning has provided you with a complete home analysis, you can apply for a variety of low interest longs to help pay for the upgrades over time. 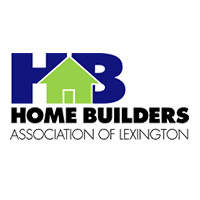 The Home Builders Association of Lexington was created to recognize the leading service providers within the homebuilding industry. We are proud to be a heating and air conditioning contractor in the Lexington market that is trusted to provide home comfort to those that are building a brand new home. As part of our commitment to the association we are constantly developing and offering the latest materials and techiniques available in the heating and cooling industry. 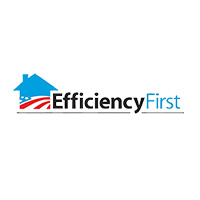 The folks at Efficiency First are dedicated to eliminating barriers that are keeping our country from utilizing more energy efficient solutions such as geothermal heating and cooling. We are a proud member of the Kentucky chapter. Like theirs we strive to help homeowners reduce their footprint by offering energy efficient solution that save money over traditional heating and cooling equipment, long term. If you have any questions regarding geothermal options please give our team a call! Our team at Climate Control Heating & Air Conditioning is dedicated to helping create a more sustainable future. 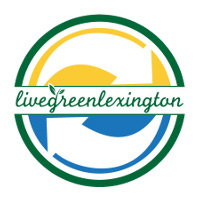 We are partners in the Live Green Lexington program, focusing on sustainable business practices. The Bluegrass Greensource Partner Program is a group of local businesses in the Lexington community that are dedicated to protecting the environment locally. By practicing more sustainable energy practices we hope to improve the Lexington community for future generations. The folks at the Better Business Bureau have been serving the best interests of the consumers since its inception. By utilizing consumer reviews, the BBB, assigns a rating to local business as a way of showing their commitment to superb customer service. We are proud to continually rank as one of the highest rated heating and air conditioning contractors in the Lexington area. Have you had a great experience with our team? Go ahead and leave us some feedback! Over the last several years, Angie’s List, has grown in popularity around the Lexington community. The platform was designed to help homeowners partner with the “best of the best” in their area for home improvement projects. We are proud to provide our high level of customer service and satisfaction to Angie’s List users. Let us show you the Climate Control Heating & Air Conditioning difference! 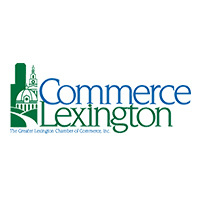 The Climate Control team is proud to be involved in the Lexington Chamber of Commerce. As members, we constantly look for ways our company can support and grow the local economy. We take pride in keeping the Lexington community comfortable!